Bead caps give your designs a professional touch that no other component can add. These caps can be layered onto the ends of larger round beads, to showcase them in your designs. In addition to drawing attention to focal beads, they also serve to add complexity to patterns and break up color palettes. You can also use these wonderful findings to bring tassels together. Whether you prefer simple or fancy designs, these caps will give your work a signature touch that will tell the world the details matter to you. Find sterling silver options, pewter choices, finely crafted Thai silver selections, and more. You'll love the leafy look of this TierraCast bead cap. It features a subtle star shape made up of five oak leaf points. The detail and texture are simply amazing. Use this bead cap to showcase favorite beads or layer several together for a fun effect. Try experimenting with beads in different sizes to create different looks in your designs. It features a regal golden shine full of classic beauty. This bead cap is the ideal way to evenly space round beads and give them a more pronounced look. Throw these rhodium-plated pewter bead caps into necklaces, bracelets, earrings, and anklets for a professional result. Try using this bead cap with 10mm round beads for a sophisticated look. The hammered texture of this bead cap is sure to add dimension to designs and the silver shine will complement any color palette. Complete designs with texture and detail using this TierraCast bead cap. The cupped shape of this bead cap is decorated with swirling leaves and granulations. This bead cap will bring a fancy touch to any look. Use this bead cap to showcase favorite beads or layer several together for a fun effect. Try experimenting with beads in different sizes to create different looks in your designs. This bead cap features a versatile silver shine that will work with any color palette. Bring beautiful accents to your jewelry designs with this TierraCast bead cap. This small bead cap features four pointed leaves with a dot between each leaf. This bead cap will help you showcase your favorite beads, break up bead patterns, add complexity, and accent your designs with texture. Stock up on this essential and use it again and again. This bead cap features a regal golden shine full of classic style. Put more detail into your projects with this TierraCast bead cap. This bead cap is shaped like a flower with seven scalloped petals. Nest it up with round beads to bring amazing detail and dimension to your bead patterns. It makes a great showcase for other beads. 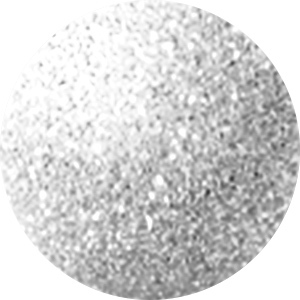 This bead cap displays a silver shine that will work nicely with any color or style. Use it in necklaces, bracelets, and even earrings to make your designs come alive. For more detail in your designs, try this TierraCast bead cap. This small bead cap features a cone-like shape with a ring of granulation around the middle. This lovely accent will bring more texture and dimension to your bead patterns. Try experimenting with different bead sizes to create new effects. Use this bead cap to showcase your favorite beads with ease. It features a versatile silver shine that will work with any color palette you may have in mind. Add wonderful detail to your jewelry designs with this bead cap. This cap features a cone shape with a detailed floral texture full of swirls. You can use this bead cap to showcase favorite beads, use it to join multiple strands together, or you can even use it as the top of a tassel. You'll love decorating designs with this bead cap. This cap features a lovely silver gleam that will make a nice touch for any color palette. Unique style can be yours with this TierraCast bead cap. This bead cap features a rectangular shape that would work well with square and rectangle beads. The surface is decorated with granulations for extra texture and detail. You'll love dressing up your favorite beads with this bead cap. It features a versatile silver shine that will work with any color palette. Complete designs with texture and detail using this TierraCast bead cap. The cupped shape of this bead cap is decorated with swirling leaves and granulations. This bead cap will bring a fancy touch to any look. Use this bead cap to showcase favorite beads or layer several together for a fun effect. Try experimenting with beads in different sizes to create different looks in your designs. This bead cap features a golden shine full of classic beauty. This delicate TierraCast bead cap features four leaves with small granulations in between. The brass oxide finish gives them an antique appearance that is perfect for vintage-themed designs. Use this cap to draw attention to your favorite beads in necklace and bracelet designs or use it to create elegant dangles for earrings. Accent your favorite beads and tie other metal elements into your jewelry designs with this detailed 5mm antique gold Talavera star bead cap from TierraCast. This bead cap is shaped like a six-pointed star or flower. The points are curved so that they will cover a portion of the bead. Each cap has an antique finish, which gives it a vintage appearance. This bead cap is part of TierraCast's Viva Mexicana line. Dress up your bead patterns with this TierraCast bead cap. This bead cap features a floral look with eight pointed petals. A dot is attached between each petal, for even more dimension and texture. Use this bead cap to showcase favorite beads or layer several together for a fun effect. Try experimenting with beads in different sizes to create different looks in your designs. It features a warm copper shine full of rich beauty. You'll love the artisan look of this TierraCast bead cap. 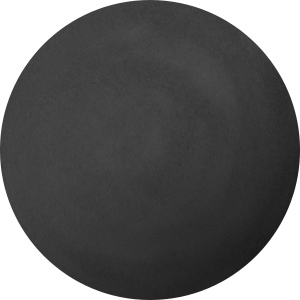 This bead cap features a round shape and a hammered texture that brings extra dimension and shine. Use this bead cap to showcase favorite beads or layer several together for a fun effect. Try experimenting with beads in different sizes to create different looks in your designs. This bead cap features a brilliant silver glow that will work with any color palette you may have in mind. Accent your favorite beads with this TierraCast bead cap. Featuring an antique gold finish, this bead caps is framed by a beaded edge and has two etched circles around the center hole for added detail. It features a rich gold color that would work well with classic color palettes. Use this bead cap to showcase your favorite beads within your jewelry designs. It's the perfect way to add complexity and detail to your projects. Use this bead cap along with a bead cap with a loop attached to create a sophisticated dangle for designs. Glue this bead cap into the bottom of your large-hole bead or pendant for a professional finishing touch to your style. The bead hole should be around 2.5mm to work with this item. This bead cap features a textured design that will add dimension to your style, while the versatile silver shine will complement any look. Put a sweet accent into your style with this TierraCast bead cap. This fun bead component is perfect for dressing up and adding interest to your jewelry designs. It is small in size and features a floral look. Use it to break up color patterns and add complexity to your beaded projects. It's a great complement to colorful beads. This bead cap features a versatile silver color that will complement any color palette nicely. Unique style can be yours with this TierraCast bead cap. This bead cap features a rectangular shape that would work well with square and rectangle beads. The surface is decorated with granulations for extra texture and detail. You'll love dressing up your favorite beads with this bead cap. It features a warm copper glow full of rich beauty. You'll love accenting your bead patterns with this TierraCast bead cap. This cap takes on a clover shape with four circular cut-out leaves. A row of three dots is featured between each leaf for added texture and detail. The open design of this bead cap will allow the color of your beads to peek through. Use this bead cap to showcase favorite beads or layer several together for a fun effect. Try experimenting with beads in different sizes to create different looks in your designs. This bead cap features a versatile silver shine that will work with any color palette. You can create unforgettable dimension in your jewelry designs with this TierraCast bead cap. This bead cap takes on the shape of a flower with eight rounded petals, creating a scalloped look. The flower curves slightly upward at the center, so it's sure to create fun style. Use this bead cap to showcase favorite beads or layer several together for a fun effect. Try experimenting with beads in different sizes to create different looks in your designs. It features a regal golden shine full of classic beauty. Add this simple 4mm TierraCast antique rhodium-plated pewter beaded bead cap to your designs to space out your beads and frame them nicely. The bead cap has a cone shape decorated with a row of silver granulations that is emphasized by a darkened antique finish. You can add these bead caps to a variety of beads, including Swarovski crystal and freshwater pearls. Bead caps are great for dressing up your favorite beads or to cover up a chip or other imperfection. This dainty jasmine bead cap from TierraCast will bring an extra floral element to your small beads, too. This small bead cap displays finely detailed jasmine flowers across the surface of its domed shape, complete with a top stringing hole. Use this bead to give your bead an antique finish. Try it with a light blue hue or ruby red color. Use this bead cap along with a bead cap with a loop attached to create a sophisticated dangle for designs. Glue this bead cap into the bottom of your large-hole bead or pendant for a professional finishing touch to your style. The bead hole should be around 2.5mm to work with this item. This bead cap features a brilliant silver gleam that will complement any color palette. Use this bead cap with this bead cap with loop or this bail to create a dangle. Put elegant touches into your style with this TierraCast bead cap. This bead cap features a cone shape with a swirling floral texture. Use this bead cap to break up bead patterns and add complexity to your looks. Use one on each end of a favorite bead to showcase it within designs. You'll love adding this bead cap to your style. It features a regal golden shine full of classic style. Add an elegant accent to your designs with this TierraCast bead cap. This bead cap displays elaborate detail that is heightened by the brass oxide finish. The dark shades give this bead cap extra dimension and will make your jewelry stand out. Pair this with designs incorporating deep blue hues or fiery red shades to complement their vibrant coloring. Perfect for vintage-themed designs, use this bead cap to draw attention to certain beads or create dangles for earrings.